The tiniest things can take you out of a movie, and often the spell-breakers have more to do with you than with the movie. So I confess the following quirk: In general, if there’s a sequence in an English-language film spoken in another language with subtitles, and a word in one of the subtitles is misspelled, it’s hard for me to believe anything else that movie tells me. Spy Game commits this sin against teachers everywhere within the first ten minutes (the word in question, in case you wondered, is “inoculations” — or, according to the film, “innoculations”). But then it’s a measure of how uninvolving a movie is that something so minuscule and silly can register so jarringly. Spy Game is of a breed I’m not terribly enamored of — the big Hollywood intrigue thriller — but I went to it hoping for some electric byplay between Robert Redford, the Brad Pitt of his day, and Brad Pitt, the Robert Redford of his day (the two, of course, have bonded cinematically before — Redford behind the camera and Pitt in front, for A River Runs Through It). Unfortunately, they get only a handful of scenes together, none of which play off the old-lion-passing-the-torch-to-the-young-cub subtext we expect. 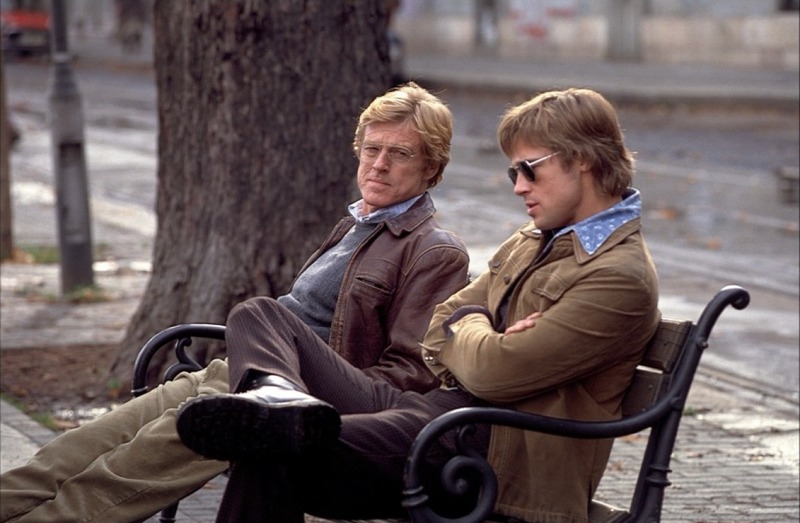 Once Redford and Pitt signed on, couldn’t the screenwriters (Michael Frost Beckner and David Arata) have had some fun with the meeting of past and present icons? Redford is Nathan Muir, the sort of cynical CIA veteran who has a half-torched flag hanging in his office. In 1975, in the twilight of the Vietnam War, Nathan took a promising soldier — Tom Bishop (Pitt) — under his wing, instructing him in the art of espionage. We see this, and other past dealings between the mentor and his protege, in flashbacks; the heart of the story unfolds in 1991, when Tom has been captured in China after a botched attempt to free a prisoner. The movie thus spans sixteen years of experience, but despite the cinematographer’s best efforts, Tom looks the same age in 1991 as he does in 1975, and, rather embarrassingly for Redford despite some obvious makeup, so does Nathan. Flashback structures like this one are nearly impossible to bring off, because Tom, for us, exists almost entirely in the past. Nathan keeps launching into anecdotes while sitting in CIA meetings (the agency wants to leave Tom in China to be executed, not wanting to risk America’s fragile trade relations with that country); some of the stories may be fudged — Nathan doesn’t trust the CIA personnel as far as he can throw them, and may be tossing in or leaving out details meant to confuse them — but after a while you stop caring what’s true and what isn’t. The movie is essentially a long meeting, allowing Redford to hold forth, grin cynically at what’s become of his agency, and coast on his matinee-idol charisma. Pitt fares even less well — wasn’t he supposed to be yearning to stop doing this sort of Hollywood fluff? Spy Game regresses him back to 1997 and the days of The Devil’s Own. In photos, David Mamet comes off as a stoic Hemingway Man, come to save cinema from itself — thick brush-cut that shows no sign of thinning, sometimes a cigar, sometimes a severe monastic beard. Does his mere presence intimidate critics into praising his films? As a playwright (American Buffalo, Glengarry Glen Ross) and essayist, he has few equals; he’s a giant in several areas, but I’m not sure moviemaking is one of them. Heist, Mamet’s latest airless exercise, strips the caper film down to its bones — the attitude, the planning, the double-crosses. It’s neatly and skillfully done; it’s also a regression — can I be the only one who prefers it when Mamet, as in American Buffalo, focuses on everything but the “action”? Actors love Mametspeak — to enunciate those terse, stylized strings of epithets and repetitions is an actor’s diploma — and Mamet has corralled a sterling cast for (as with last summer’s The Score, a similar and, I have to say, much more entertaining film) a rather routine run-through. Gene Hackman, that pinnacle of weary wisdom and malevolent self-amusement, should be able to keep the movie going all by himself; he’s got backup in hotheaded Delroy Lindo, young punk Sam Rockwell, eternally wised-up magician (and Mamet favorite) Ricky Jay, and the second-billed Danny DeVito in what averages out to a glorified two-scener. Uniformly, these fine actors all chafe at Mamet’s increasingly rigorous words and pictures (can someone please reassure Mamet that it’s no betrayal of his stage roots to make his films of some visual interest?). Hackman, as your standard-issue career thief looking to make One Final Score, seems awfully hemmed in; usually he can take any dialogue, however absurd and banal, and give it a lived-in authenticity, but too often here he opens his mouth and a bright shiny Mametism leaps out — the performance never really coheres or suggests a real person. DeVito, as a shady character trying to coerce Hackman into the Final Score, shouts a lot and does nothing he hasn’t done before (folks, rent Living Out Loud for a great, un-DeVito-like piece of work); poor Sam Rockwell simply looks marooned in the sort of thinly written and juiceless role — DeVito’s sleazy nephew who tags along on the job — that this gifted character actor should be above by now. Does it matter that the movie’s sole major female character — Hackman’s wife, played by Mamet’s wife Rebecca Pidgeon in her usual impassive I’ll-do-what’s-required-of-me-but-no-more style — makes no sense whatsoever? Or that, after the third scam or so, you just sit back distrusting any interactions you see, therefore effectively squelching any emotional involvement in them? Heist isn’t a pleasurable old-school, perfectly-cast piece of pulp fiction like The Score or Ronin (which Mamet cowrote); it’s just David Mamet congratulating himself on his own intricate cleverness. He seems to see cinema itself — no, life itself — as a scam, and he positions himself as the guy who knows all the tricks (it probably explains his respect for Ricky Jay). For an audience, though, austere knowingness isn’t enough. Feisty, original characters are required to keep us amused during the familiar heist mechanics (Mamet stages the crime sequences less interestingly than, oh, any director ever). Trying for iconic, literarily “blank” characters, Mamet gives his actors nothing to work with and an audience nothing to engage with. 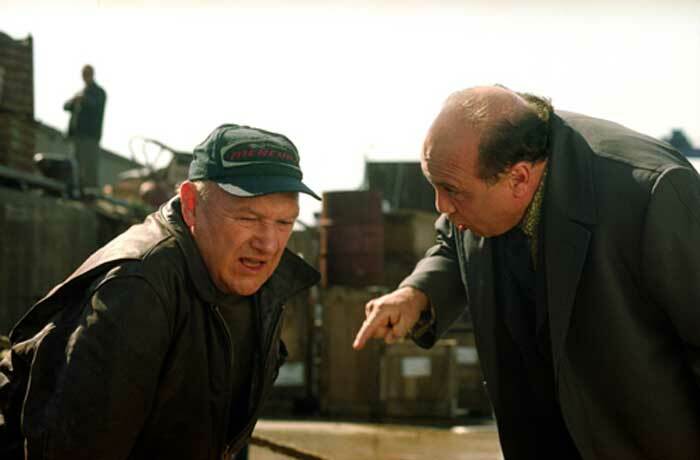 There’s some assorted amusing nastiness (more than one critic has quoted the late-inning Hackman-DeVito exchange), and Mamet does set up a realistically fumbly (and therefore exciting) gunfight near the finish. But Heist works neither as art nor as meat-and-potatoes diversion. Mamet may see himself as the king of the con artists, but maybe that only goes as far as conning so many critics into thinking he’s making something more significant than stiff little films with clenched-fist dialogue.